The Providence Preservation Society (PPS) is pleased to present the Festival of Historic Houses on June 2-3, 2017 in the Upper Elmwood Historic District. One of the region’s most anticipated heritage tourism events, the Festival grants guests self-guided access to more than one dozen private, historic homes. 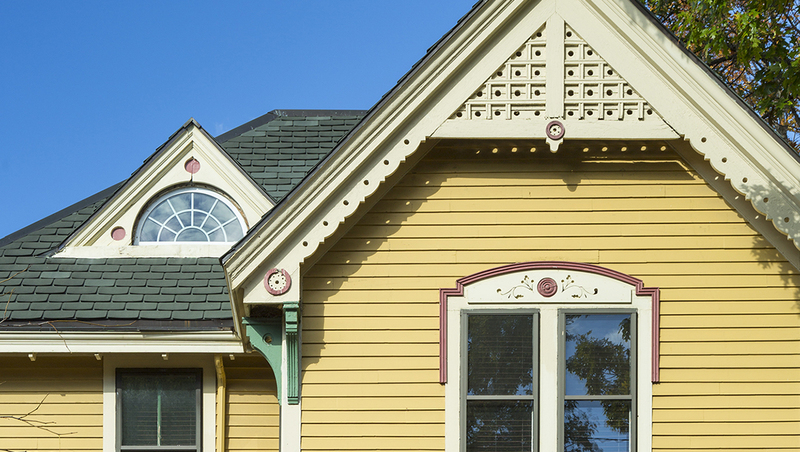 Upper Elmwood boasts opulent architecture, from Queen Anne Victorian to Colonial Revival style, from Providence’s greatest growth period in the late nineteenth and early twentieth centuries. The homes shine again today due in large part to grassroots restoration efforts by caring residents. New this year will be a neighborhood fair representing aspects of the area’s rich cultural diversity. The event is also timed with the city’s third annual PVD Fest, Providence’s signature citywide art festival, June 1-4, creating a robust art and architecture experience for weekend visitors and residents alike. Self-guided private house tours take place on Saturday, June 3, from 10 a.m.—4 p.m. Saturday registration begins at 9:45 a.m. at the Knight Memorial Library, 275 Elmwood Avenue. Advance ticket purchase strongly recommended at providencehousetour.com for $35 for Upper Elmwood residents, $35 in advance for PPS members, and $45 in advance for non-members. On-site tickets will be $35 for Upper Elmwood residents, $45 for PPS members, and $55 for non-members.